To process an APAS .3d file with APAS/Gait, please make sure that all necessary markers/points are present. The following table gives an overview of the markers/points needed for each method (marker set). Check here for some references. Here for a background on the calculations. Thigh wand A stick marker on the lower lateral thigh. 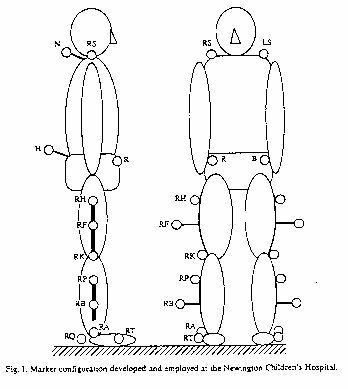 Should be on the plane that is formed by hip join, knee joint and lateral epicondyle marker. Thigh lateral On the lateral thigh. The plane formed by RTHI_A, hip joint center and knee joint center will be sagittal plane of thigh. Thigh anterior On the anterior thigh. Lateral Epicondyle On the center of lateral epicondyle of femur. You can find it more easily if the subjectï¿½s knee flexed a little. Medial Epicondyle Only for static trial. On the center of medial epicondyle of femur. 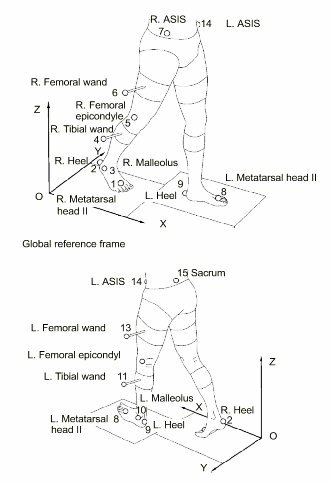 Tibial wand A stick marker on the upper lateral surface of lower leg. 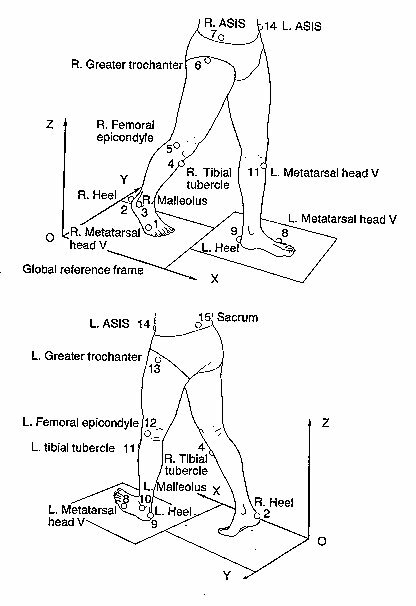 Around upper 1/3 point of fibular head to lateral malleolus, where is no tibial torsion component. Fibular Head On the fibular head. The line between RHEEL and RMT should be parallel to the ground. To achieve this condition one should measure the thickness (height) of 2nd MT head (=RMTHth). RHEEL should be above from the ground with the amount of m_offset1+RMTHth.